So here we are at the end of the year. This is the second to last episode we’re going to do for 2015. We’ve got one more episode coming to you after this one. With these final two episodes to close out the year, marking the first 6 months of podcasting here at The Modern Recordist, we’re kinda recapping things, as well as looking forward to the next 6 months and beyond for this podcast. Paul Sikes is a songwriter, producer, and recording artist. He has had cuts with recording artists such as Emerson Drive, and performed on The Today Show a couple of times. 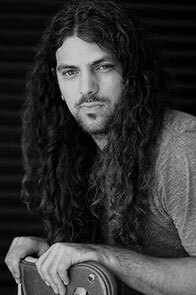 Ben Bishop is a producer working in the Nashville music scene with a very good sense of what it takes to create an income as a musician and producer, as well as what it takes to get great performances out of artists and musicians in the studio. Ted Fox is a very unique new recording artist in the Nashville music scene. He has a unique, counterintuitive, thought-provoking, and dare we say controversial approach to making music. The Modern Recordist is a podcast devoted to the exploration and continual discussion around designing and living your life as an extraordinary artistic visionary. Each week I venture on this journey, either in a casual hang out with a guest, or by diving into a specific topic for a few minutes in more of a monologue-structured format. Hear stories and learn from the most innovative, inspired, and talented songwriters and artists in the music scene. Spark your creative genius with actionable advice and takeaways. Become inspired and move to action as you design and live your life as an extraordinary artistic visionary. 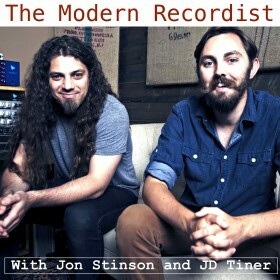 Make sure you are subscribed to The Modern Recordist on iTunes! Click Or Tap Here To Subscribe Now! We are entering the final weeks of the year. As 2015 comes to a close, we here at The Modern Recordist need your support to get this podcast out to as many people as possible. Let’s do a big push in these final weeks, spreading the word around the internet about this podcast. First, get subscribed and stay subscribed! The more subscribers we have the more clout we have, and therefore can bring on more guests, guests who have a lot of notoriety and can share insights with you on what it takes to attain huge success as you continue to create music. Second, leave us a rating and review on iTunes. Good and honest ratings and reviews, help The Modern Recordist stay relevant on the iTunes charts, and therefore get more notoriety and clout, which will also help us continue to bring on great guests that can share their success secrets with you. And third, share this podcast with 3 friends. Yes, 3 friends. Let’s do a big push at the end of the year to do everything we can to turn as many people as possible on to this show. So if you’re getting something out of each episode of this podcast, and know a few musician or songwriter friends who would also get something out of this show, make sure you share it with them. We launched The Modern Recordist last June. The back half of 2015 has been an awesome journey, serving as an incredible first 6 months for us. So let’s blast into 2016 SUPER HOT, and continue on the good vibes in the coming year. We want to continue to bring you great guests, and great content. We want to continue to outdo ourselves, making this show as visionary as possible, and bringing you tons of value and ideas around creating music and art. And to do that we need your support in growing the audience of this show. I’m excited to continue to put out a killer show for you over the next 6 months of The Modern Recordist and beyond. Ok, that’s it for this week. There’s more for you next week. And in the meantime, go live your life of an extraordinary artistic visionary, and create something impactful in the world.